The Middle East countries of OPEC destabilized the global oil market by pursuing their personal interests and are mindless to other members of the cartel, says Igor Sechin, the head of Russian oil major Rosneft. OPEC has a 39 percent share of the global oil market and is formed by a group of countries seeking to dominate, said Sechin speaking Tuesday at the International Petroleum Week conference in London. Sechin said the cartel’s policy leads to destabilization and misunderstandings on the part of other market participants. "A group of countries in the Middle East is pursuing its policy and considers the interests of other members of OPEC as secondary," he said. World oil prices have lost more than 50 percent since July 2014 with most experts attributing this to oversupply in the market. OPEC's decision to maintain oil output at 30 million barrels per day deepened the price collapse. Saudi Arabia voluntarily decreased the purchase price for its oil blend in November 2014 with some analysts saying the move symbolized the start of a price war. However, the country insists the measures were taken in an effort to protect its share of the global market. 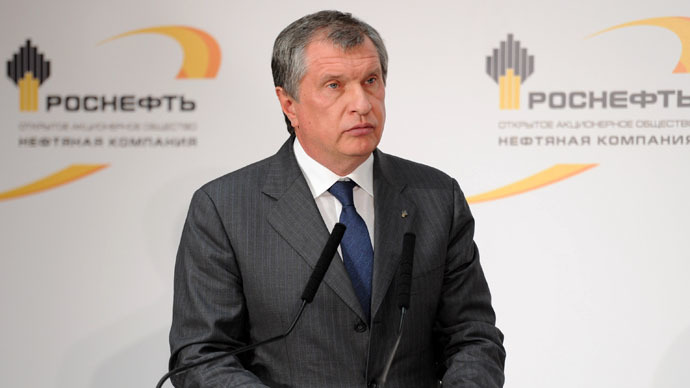 Sechin said the current infrastructure designed for managing oil prices is unreliable and requires improvement. To change the situation for the better, more attention should be paid to the influence of financial players in establishing prices, as well as to the influence of manufacturers. The infrastructure of market data should be improved through transparent exchange deals as well as effective and qualitative information, he said. Russia is ready to enter the cartel as an observer, although OPEC insists on full membership, Sechin said. "We have respect for this organization; they want us to be among the participants. But we cannot enter into OPEC [as a participant - Ed. ], due to the specifics of Russian oil production," he said. Although Russia has never been an OPEC member, it has participated in cartel meetings since 1998 and became a non-permanent observer in 2003. In the early 2000’s, the media reported that OPEC offered Russia a permanent seat, but Moscow declined. "Russia doesn’t have an opportunity to simply turn the well on and off and quickly reduce or increase production, as done by OPEC," UBS analyst Konstantin Cherepanov told RBC. Russia has always wanted to be an independent player, and therefore has never sought to join OPEC, because membership involves coordinated action, he added.